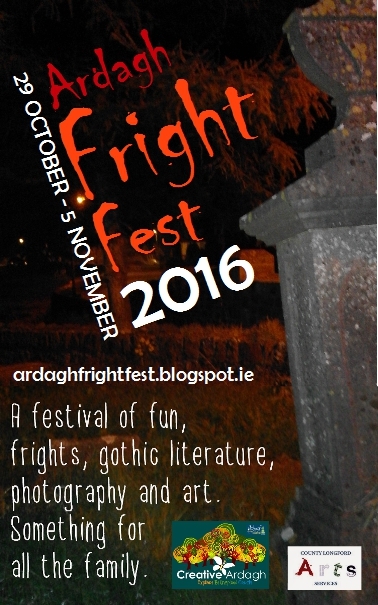 We have now introduced PayPal buttons on most of our Ardagh Fright Fest events. Click on the tabs at ardaghfrightfest.blogspot.ie. If you avail of this option please also contact us to let us know the details of the event paid for and who will be attending so we can ensure to keep your space. We have tried to keep it simple and hope it will be a useful option for those of you who wish to pay with credit or debit cards as well as your PayPal account. Please also let us know if you have any problems, or just how you find using the buttons as this is all new to us.